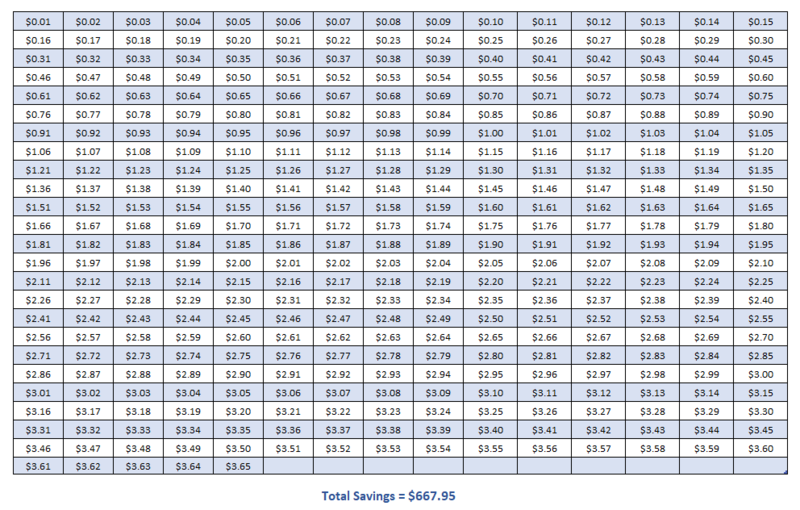 52 Week Money Saving Challenge — Save $1378 in a year! I added checkboxes, a space for the date of "deposit" each week, and my 'Money Saving Goal.' Whether your goal is to save for Christmas gifts, a trip, or just to put money in your bank account at the end of the year, the challenge is a good way to teach young people the value of saving and is something that families can do together. *The 52 week Money Challenge was developed by Kassandra Perry-Moreland. Find it also on Facebook at Kassandra's 52 Week Money Challenge. Find it also on Facebook at Kassandra's 52 Week Money Challenge.